We all know that young children love repetition. If you have been around a child under the age of 3 lately, you know this well. They repeat questions, they repeat words, they repeat actions….over and over again. For us adults, this is honestly kind of annoying, but for these little ones, this is learning at its best. Practice makes perfect, as the old saying goes. Little children know this well and they inherently know what their brains need. 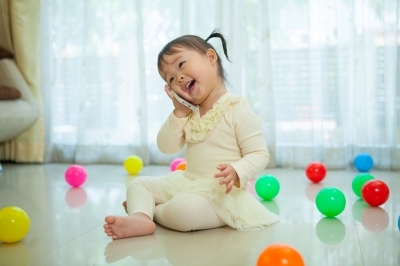 It turns out that repetition is helpful for young children before they are even verbal. New research coming out of the University of Maryland is showing this clearly. In a recent study, researchers evaluated 121 infants (7 months of age) and their later language development at age 2. The authors specifically wanted to understand if the amount of repetition in language that the infants were exposed to was related to their later language development. Not surprisingly, the researchers did find that repetition makes a difference. The more words mothers spoke to their infants, and the more repetition all predicted better language development at age 2. Researchers believe that this repetition may help prime children to understand how to “segment” words. Segmentation involves how children learn to break up fluent speech into individual words. Obviously, this is a crucial task that children must learn in order to learn language. These findings are very instructive and helpful in thinking about how children learn language. For years, we have known that the number of words a child is exposed to early in life can have strong impact not only on their language development, but their lifelong academic trajectory. As I have written about before, this exposure (or lack thereof) can also present a source of inequality among children of differing socioeconomic groups. Children in lower socioeconomic groups tend to be exposed to fewer words, which is often associated with a later achievement gap as preschoolers. From this new research on repetition, we can see that it’s not just the number of words, but also their repetitiveness that may make a difference in language development. We are continuing to see how language is really a gateway skill to many aspects of development. Language is one of the skills that makes us uniquely human, it connects us to each other, to knowledge, and to the world around us. So in talking to our youngest children, we are not only establishing a crucial bond with them, we really are setting the stage for much of their future development.